Approximately two million people throughout the United States are living with a speech disorder called aphasia. This disorder comes after a person experiences brain damage, such as after a stroke. In fact, more than 30 percent of stroke cases result in the person experiencing aphasia. 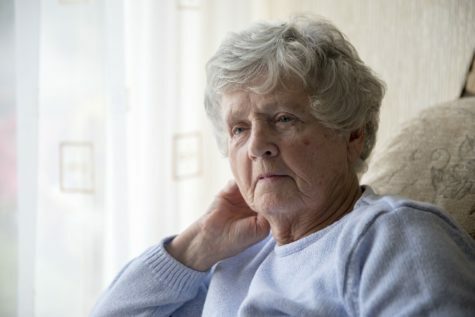 When living with this disorder, your senior will have difficulty communicating, and understanding communication. It is very important for you as a family caregiver to understand the difficulties your senior may face when living with aphasia so you can recognize these difficulties and take the steps to empower your parent to find their own means of communication, while also communicating with them more effectively. One valuable detail to keep in mind is that aphasia does not indicate a decline in intellectual ability. This means that even if your parent is struggling to communicate, they have not experienced a decline in their intelligence or their function, and you should not treat them as if they have. This may even result in more pronounced symptoms and challenges. Not being able to think of the word they want to say. Saying the wrong word, even though they know what it is they want to express. Saying a similar word, or a word that relates to what they want to say, but is not correct. Saying words that have no relation to what they want to say, without any control of what they are saying. Changing the order of sounds in words to create nonsensical words when spoken. Saying made up words, or even a string of sounds when trying it to speak. Having difficulty communicating in full sentences. Saying sentences that don’t make sense, such as a blend of made up sounds and real words, or a string of unrelated words. If your parent has recently developed a new condition or health problem or has been showing new challenges and symptoms, and you do not feel as though you can provide them the level of support and care they need on a consistent basis, senior care may be the ideal solution. Having a senior home care services provider in your care routine with your parent supports your efforts as a caregiver, while also filling care gaps that might exist. These care gaps can be as simple as your parent being alone too often, and the care provider offering companionship and transportation, or more significant such as you needing them to handle several care tasks or be with your parent for more extended hours. Whatever your elderly loved one needs, a senior care provider can create a customized set of services designed to promote health, safety, well-being, and fulfillment. If you or an aging loved-one are considering Home Care Services in Bloomfield, PA, please contact the caring staff at In-Home Quality Care today.